From North Shore Inc . The NEW Surf N Skim updated Design. Now with "New & Improved" Insert Pattern! has twice as many inserts for foot strap mounting. SNS are great for smaller boards where the bias is for riding with straps. 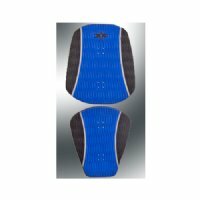 The pads are available with optional ABS heel dent protector plates. 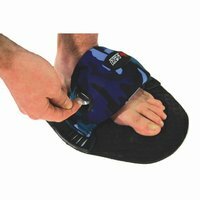 Now you can put foot straps on any board! The "Surf n Skim Padz" have built in threaded inserts for foot straps and feature an extremely durable specially formulated 3M adhesive providing a viciously firm grip. Our simple "peel & stick" installation is quick, painless and so easy even a toddler could do it! This patented design was not only based on long term research and development but most importantly it was based on YOU the surf community itself. 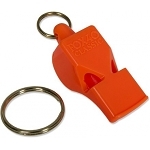 This is the product you were all screaming out for. We listened. We delivered. In the end, you get uncompromising strength & a vast spectrum functionality. Bridging the gap between what you love to ride, and what you have to ride. - NSI s "Surf n Skim Padz" are the perfect interface to convert any existing surfboard into the kite-surfing tool you ve always wanted. Whether Kite-boarding, Surfing or Tow-In Surfing, if you love to ride the waves, now you can "strap yourself in" for the ride. Kiteboarding in the surf is nearly nirvana, and there s no denying that a surfboard is the tool for the job when it comes to riding waves. Finding a decent surfboard these days isn't very difficult. However, with all the different options available on the market today, finding a board that accommodates "foot straps" is either expensive, not the right style, or simply does not work. 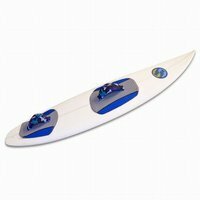 NSI s "Surf n Skim Padz" can convert any surfboard into a board with or without foot straps. The "Surf n Skim Padz" offer simple plug and play installation, with NSI s premium Padz comfort, traction and board protection. Turn any board into a wave riding board with straps ON or straps OFF. Mount a pair on your favorite stick, and your stock surfboard now has an identity crisis. Superior quality, strength, and design. Is it a kiteboard, a tow-in board or a surfboard? Not just one, but all. 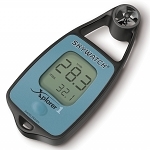 The missing link in your kitesurfing evolution.